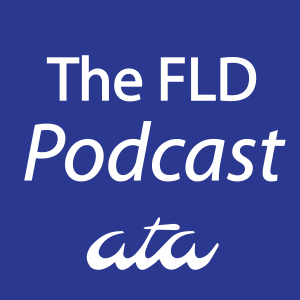 The FLD is committed to providing information to its members in specific fields of interest related to translation and/or interpretation into or from French. Do you have a resource you’d like to share? 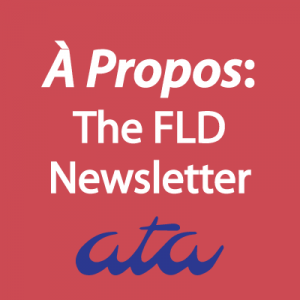 Email us at: divisionfld@atanet.org. The French Voices Awards rewards both American translators and publishers for translations of works that have been published in France in the last 6 years. Recipients are selected by an independent literary committee. Each book receives a $6,000 award, shared between the American publisher ($4,000) and the translator ($2,000), ($5,000 and $1,000 respectively in the case of a comic book or picture book). Each year, the committee also elects a Grand Prize Winner, who receives $10,000 in total: $6,000 to cover the foreword fee and the publishing costs, and a $4,000 non-negotiable bonus to the translator ($7,000 and $3,000 respectively in case of a comic book or picture book). A book tour will also be offered to the French author after his work is published in the US. Hemingway Grants allow publishers to receive financial help for the translation and publication of a French work into English. Grant beneficiaries are selected by the Book Department of the French Embassy in the United States. Grants awarded for each work range from $500 to $3,000. The Institut Français helps American publishers offset the cost of acquiring the rights to French works. Grant beneficiaries are selected by the Institut Français in Paris. The amount awarded cannot exceed the amount of the advance paid to the French publisher for the acquisition of rights and varies from €500 to €7,000. Regroupe les librairies Renaud-Bray, Champigny, Bertrand. Hebdomadaire de Montréal consacré aux affaires. Albarock – FLD members like their cooking videos on YouTube. FrenchSpin – Try the podcast “Positron” in particular! To access information from the agenda for all things French happening in the Southeast, click here. A free, monthly review in English of news and trends in France published by the Press and Communication Office of the Embassy of France. Designed for policymakers, French teachers, and Francophiles of all ages, it is distributed to over 11,000 people. To subscribe to the electronic email edition, click here. A print edition is also available (U.S.addresses only). Need a translator or interpreter? Consult the ATA’s directory of translators and interpreters here. First-time buyer? Use this guide to understand how to get it right. ATA offers a variety of programs, benefits, and support services. 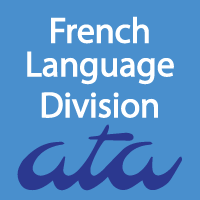 Membership in the French Language Division is one of these benefits. For more information about becoming a member of the ATA, click here.